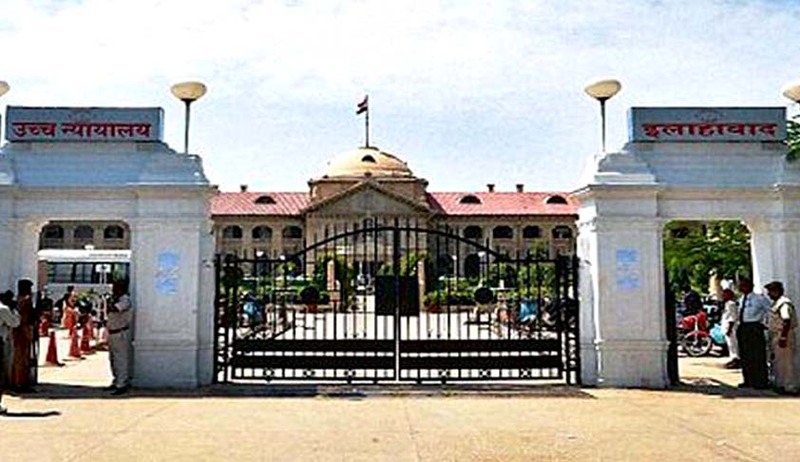 Allahabad High Court has held that the wrong exercise of jurisdiction or mistake of law or wrong interpretation of law by a quasi judicial authority cannot be a basis for initiating criminal cases unless there is material to demonstrate deliberate misconduct and malafide or consideration in discharge of his official duties or that such officer had acted in a manner to unduly favour a party or has passed a wrong order actuated by corrupt practice. The above observations were made by the Court while quashing Criminal Proceedings against a Nayib Tahasildar on allegation that he conducted mutation proceedings in his quasi judicial capacity on the basis of a sale deed, executed and registered at Mumbai, while the prevailing law did not permit it. It is pertinent to point out that prior to 23.09.1994, mutation proceedings were permissible for the properties sold and registered at Bombay (now Mumbai), Delhi, Calcutta (now Kolkata) and Madras (now Chennai). But the law was changed by an amendment brought in Registration Act 1908 and the provision, permitting mutation of immovable properties located within the State but sold and registered at Bombay, Delhi, Calcutta and Madras was deleted. It is argued that Nayab Tehsildar cannot be held criminally liable merely because a wrong order was been passed. He further claims that though a new amendment had been brought in the Registration Act, 1908 in the year 1994 but this notification was never publicized to the subordinate staff of the State Government. He claims that the Uttar Pradesh Government widely publicized this notification informing various authorities vide letter dated 28.10. 1999. It is also argued that another letter was sent on 20.11.1999 on behalf of the State of Uttar Pradesh, wherein the earlier letter dated 28.10.1999 was referred. It is argued that it demonstrate that even the State Government was aware that the amendment of 1994 was first circulated on 28.10.1999. Justice Bharat Bhushan said that the argument of lack of knowledge of amendment of 1994 in Registration Act, 1908 cannot be considered. As Revenue Officer, was duty bound to know the Revenue law and the latest position thereof. It is incumbent upon all the Officers to be aware of the latest law. Lack of knowledge of law cannot be treated as defence but the question is, can a judicial or quasi judicial officer be held criminally liable for passing a wrong order? It is one thing, not to know the law or the latest position of law but it is altogether different, to make a wrong interpretation of law. A wrong interpretation of law can be a ground for appraising the worth of that particular official/officer in departmental proceedings but can a wrong interpretation of law or mistake in quasi judicial adjudication result in criminal prosecution? An order was passed by the applicant in revenue proceedings. The order was indeed against the prevailing law. To this extent, the facts are not disputed but the question arises can a Presiding Officer, in quasi judicial adjudication, be punished in criminal proceedings merely for passing a wrong order without any evidence of dishonesty and conscious disregard to his obligation? The Court held that, criminal prosecution cannot be initiated on a vague and indefinite allegation. Suspicion has no role to play in such matter. There must be some reasonable and satisfactory material to proceed against the officer/official. If every error of law is to constitute a criminal offence, it would demolish the independent functioning of quasi judicial officer, like the applicant. It is pertinent to point out that crux of the allegation against the applicant is that he had committed error of law. There is absolutely no material to demonstrate that he committed any misconduct deliberately for extraneous considerations. "This Court on several occasions has disapproved the practice of initiation of disciplinary proceedings against officers of the subordinate judiciary merely because the judgments/orders passed by them are wrong. The appellate and revisional courts have been established and given powers to set aside such orders. The higher courts after hearing the appeal may modify or set aside erroneous judgments of the lower courts. While taking disciplinary action based on judicial orders, the High Court must take extra care and caution." “I am afraid, the applicant, as Nayab Tehsildar was competent and authorised to deal with the mutation proceedings and that he passed a wrong order in the teeth of 1994 amendment to the Registration Act, 1908 is also apparent. This instance, along with other conduct could have been and can still be a good ground for assessing his worth in the services. Such appraisals of officers and officials in departmental proceedings are part of their official lives but such officer/official cannot be held criminally liable for merely passing a wrong order without any material to demonstrate that such order was passed deliberately for extraneous considerations or for oblique purposes. The question of malafides/oblique motive or extraneous considerations are questions of fact and they have to be demonstrated by collecting legally admissible and satisfactory evidence. Wrong exercise of jurisdiction or mistake of law or wrong interpretation of law by a quasi judicial authority cannot be a basis for initiating criminal cases unless there is material to demonstrate deliberate misconduct and malafide or consideration in discharge of his official duties or that such officer had acted in a manner to unduly favour a party or has passed a wrong order actuated by corrupt practice”.